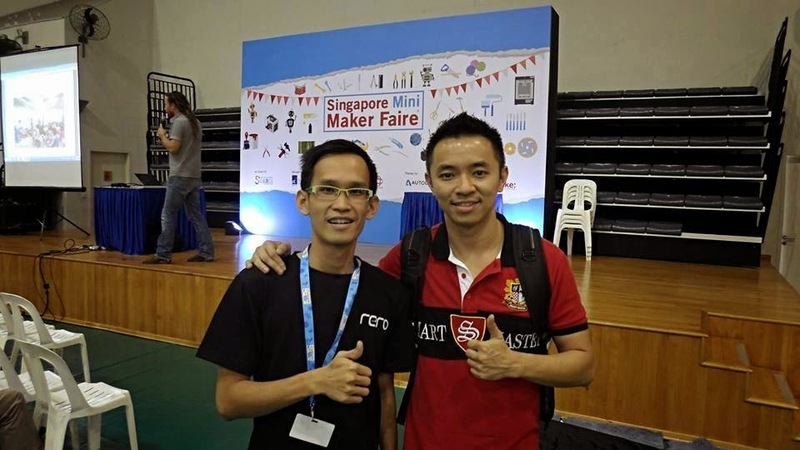 Vincent Kok (VK) is a Maker, a software platform application engineer in the transportation industry, graduated from USM in Master of Science (Embedded System Engineering). 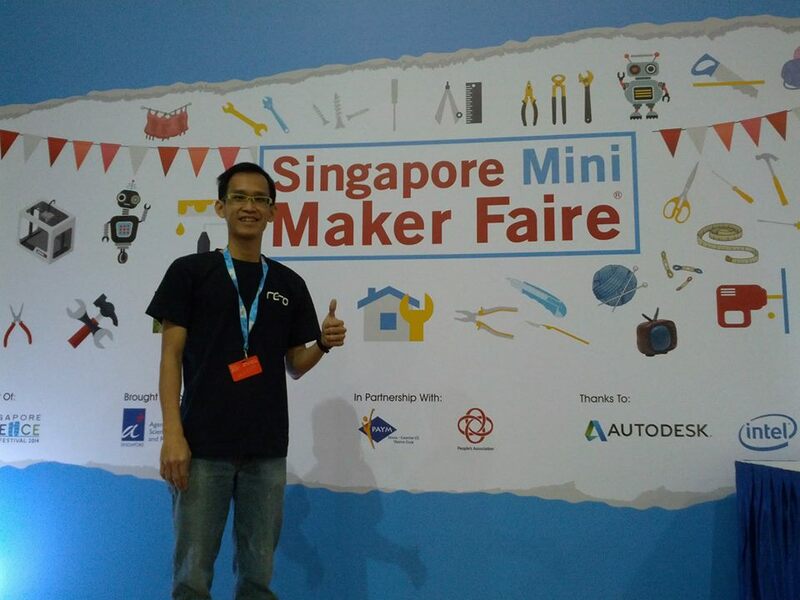 Vincent actively involves himself with the developer community, as well as attending Maker Faire events held in other parts of the world - Shenzhen in 2014, Singapore and Tokyo in 2015....Designing electronics hardware kits and giving soldering/Arduino classes for beginners are some of his favorite ways to benefit extra time he has. Currently, his focus is in Computer Vision technology, Test Automation, Deep Learning and constantly keeping himself up to date to the latest technology. 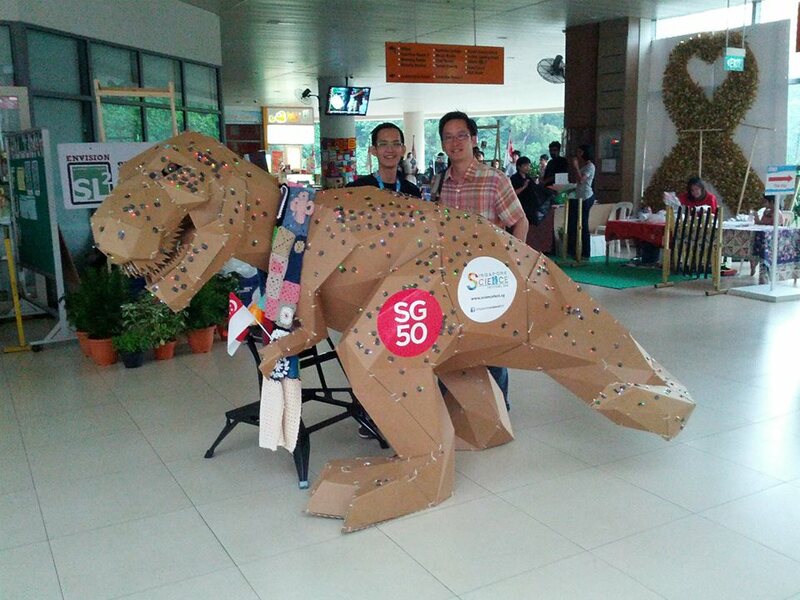 Singapore Mini Maker Faire happened at 26 – 27 July 2014 located at Senja Cashew Community Centre. 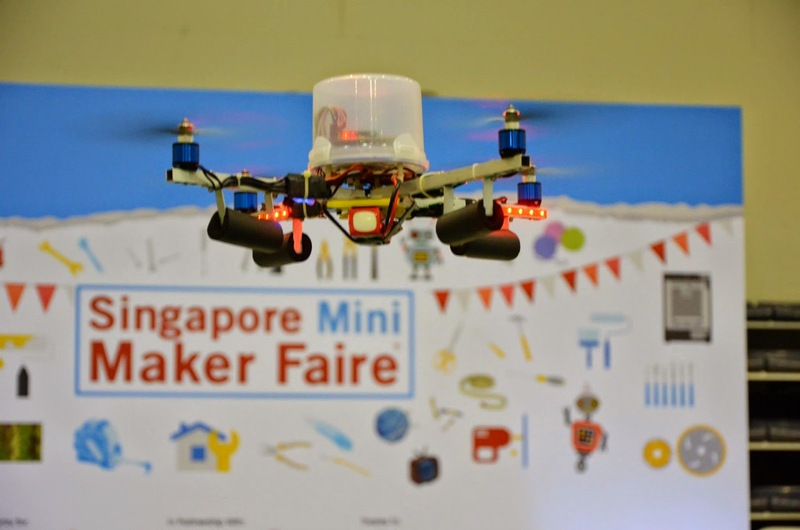 This is the third time where Singapore Mini Maker Faire has been organized. 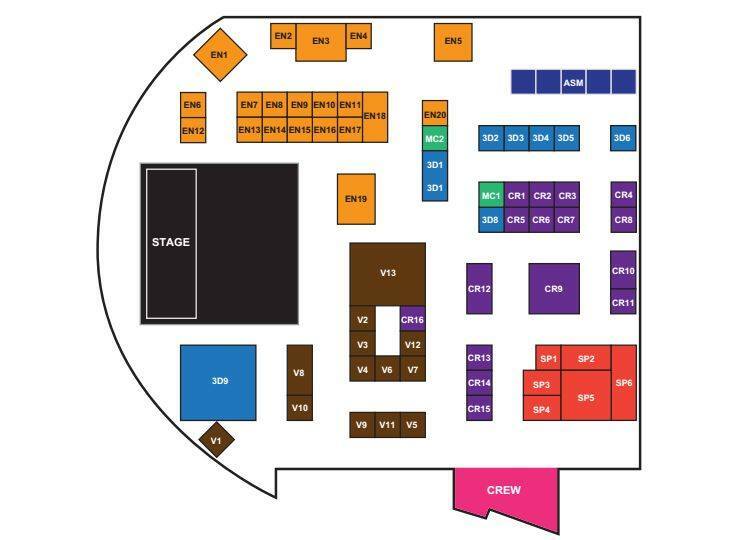 Here’s about the layout during Singapore Mini Maker Faire 2014. 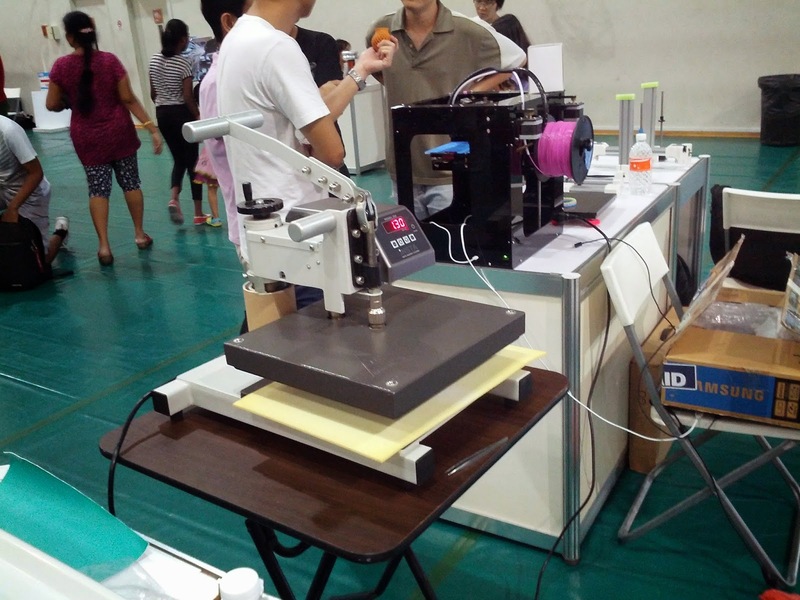 Let’s talk something interesting during the maker faire. 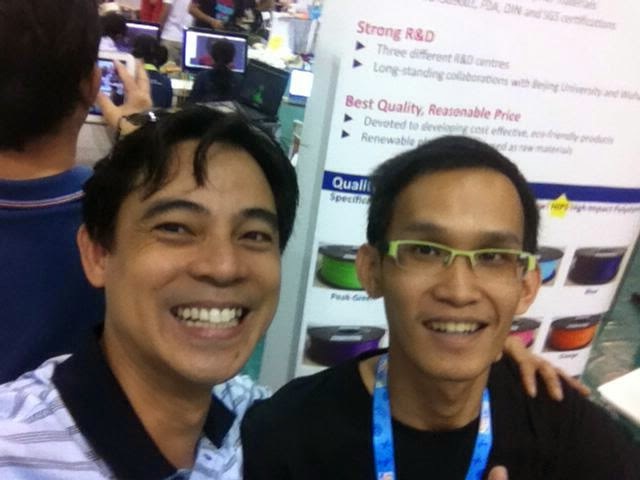 Well, we have makers from 3E Gadgets Pte.Ltd. They actually introduce about the first ever locally designed and produced Arduino board. It is with some extra functions such as switches and buzzer on the Arduino board itself. Besides, we have booth from the sponsor company, Intel as well. 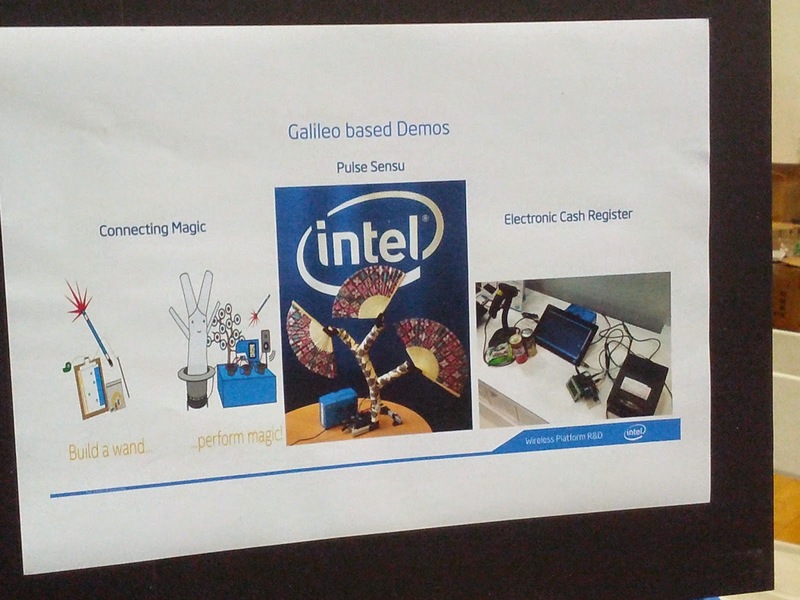 They showcase some projects developed from the Intel Galileo board which was launched not long ago. The kids are given opportunities as well to build a DIY torch light to trigger the ‘Connecting Magic’ project. Well, here’s what 3 makers developed – A pretty interactive game called Mech Pong. 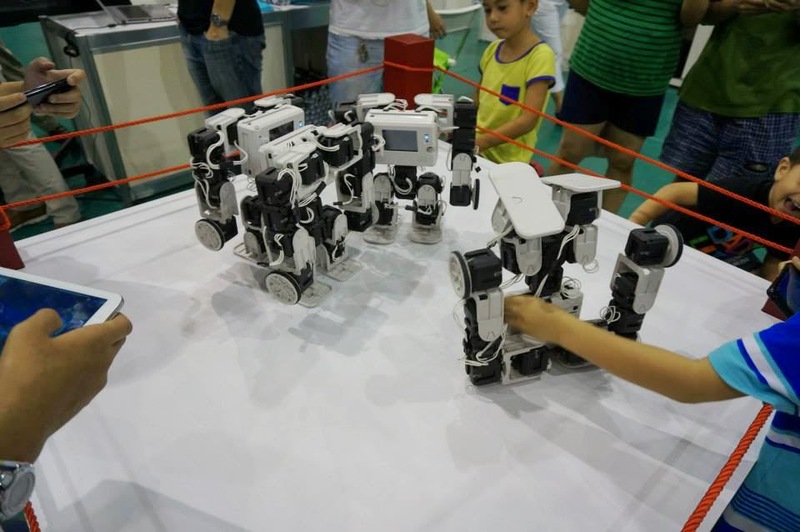 For your information, this Mech Pong was developed only using a single Arduino UNO board with interface to some touch sensors, DC motor, joystick and more. 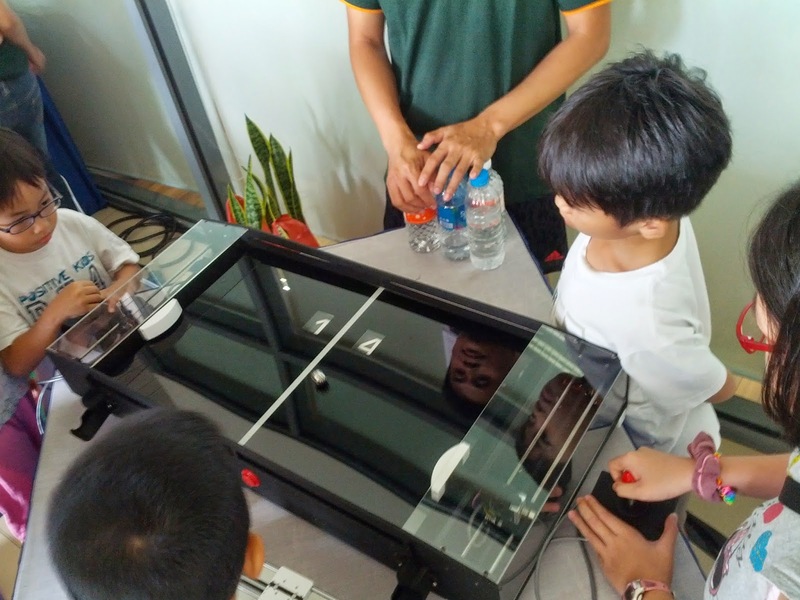 It took the team about 3 weeks to fabricate the different parts and about a week to solder the electronics and complete the firmware programming (using the super popular arduino IDE). It’s pretty addictive and visitors like it a lot ! 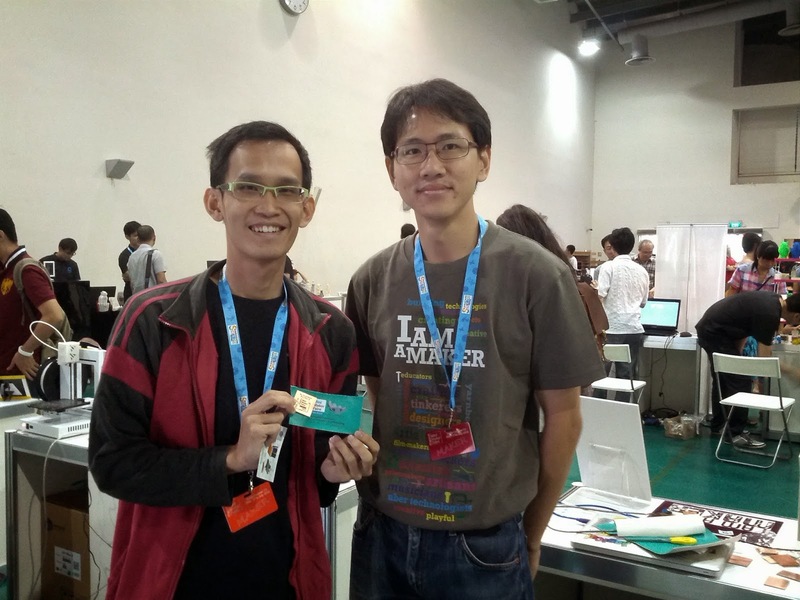 My maker friend, Leon Lim was there too to demonstrate about DIY PCB. Using heat transfer press machine to transfer the tonner from the printed artwork to the copper board ! Pretty easy and save a lot of energy if compared to using iron. 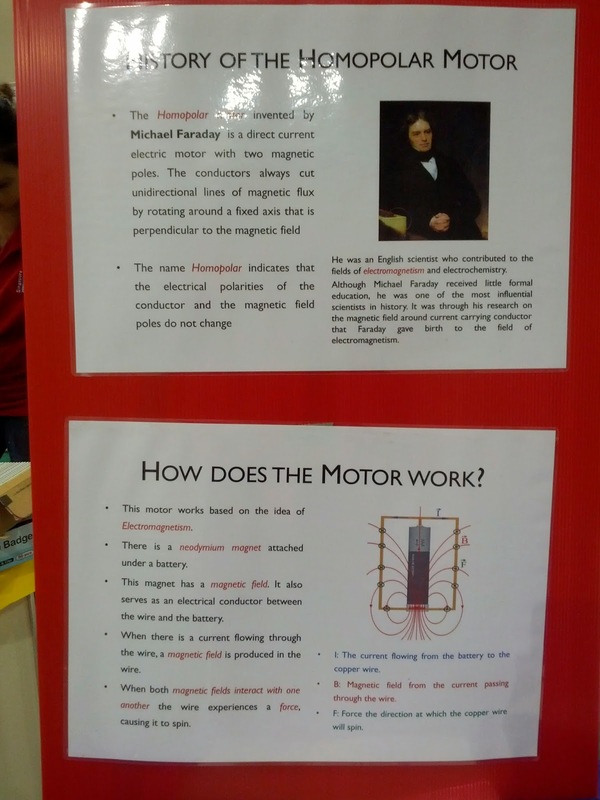 What’s next is about this simple yet interesting homopolar motor by one of the maker – Ong Wei Heng. How I discovered this motor was out of curiosity. I was searching for how a normal motor work and came across this homopolar motor. So I researched further and realized that it could be made out of simple household items. I gave it a try it’s very beautiful. I also think that it could be incorporated into other household items like home decorations, toys and maybe even on electric cars! I would also like to share this idea with more people through the maker faire, so that they too can build simple yet beautiful things to brighten up their lives. Moreover science is happening in our daily life why not go and explore it and pack even more knowledge. 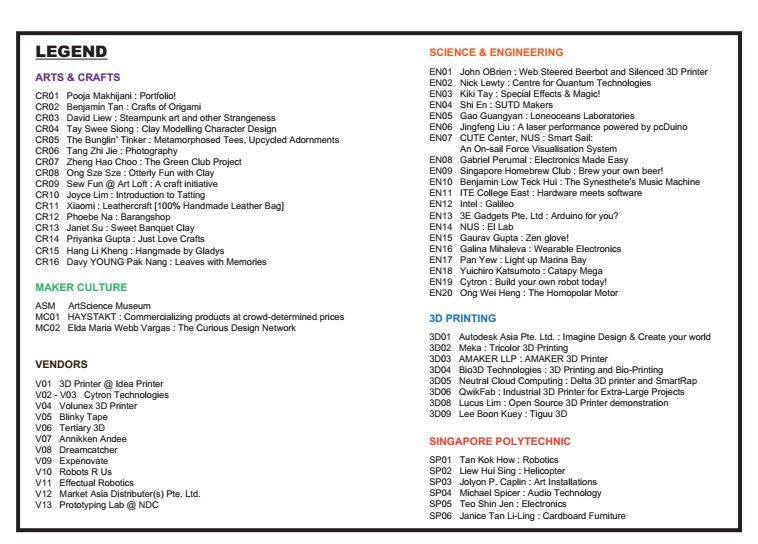 During the faire I also saw Autodesk Asia Pte Ltd. 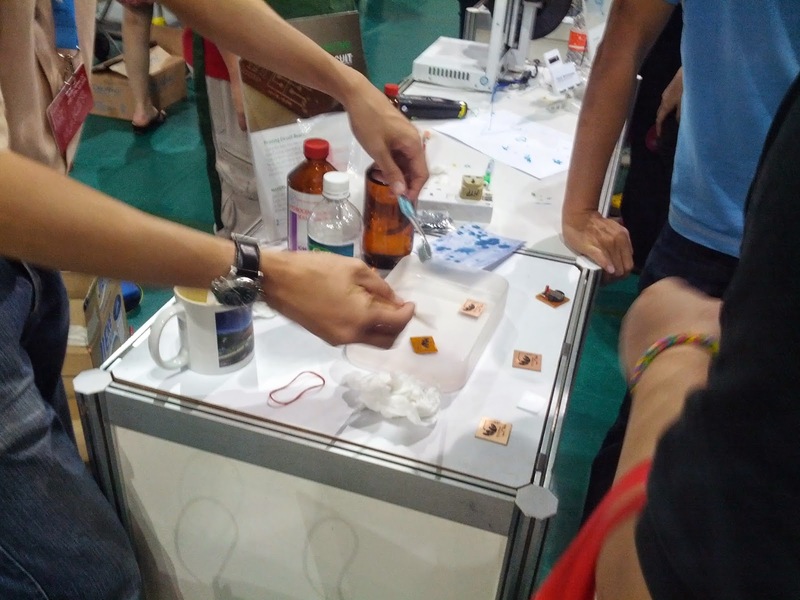 They have booth, presentation and workshop as well. to make something using Autodesk Fusion 360 ! 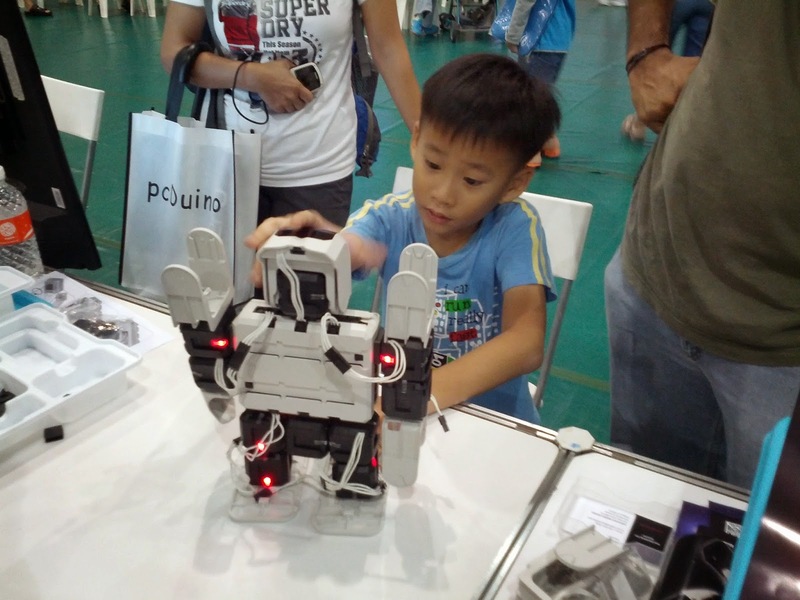 Of course, I saw something fun there as well – RERO robot. I was one of the helpers for this booth. 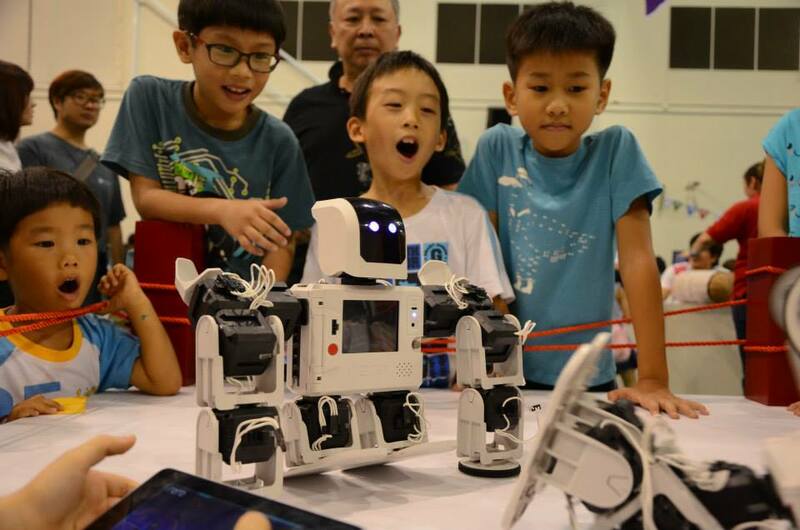 Kids came and enjoyed their time here building the robots and play around with it. 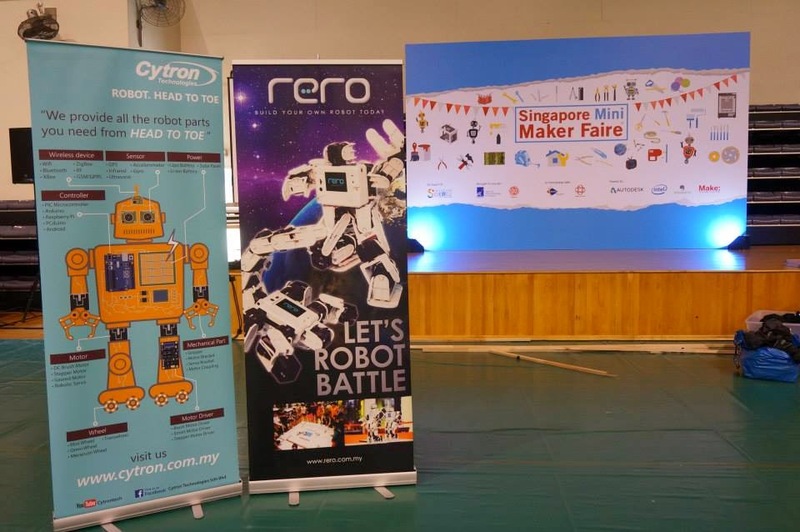 RERO is actually a product from Cytron Technologies Sdn Bhd, a Malaysia based company. 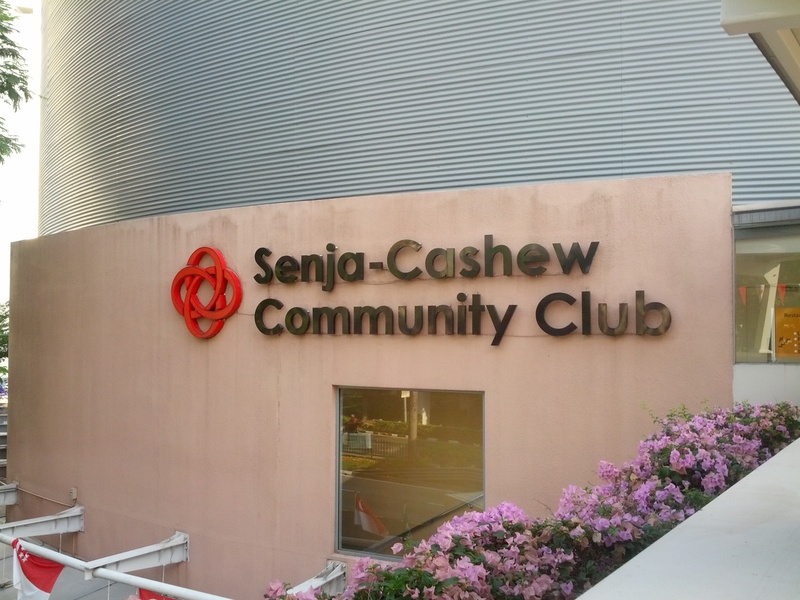 My trip to Singapore was actually sponsored by them ! 1. 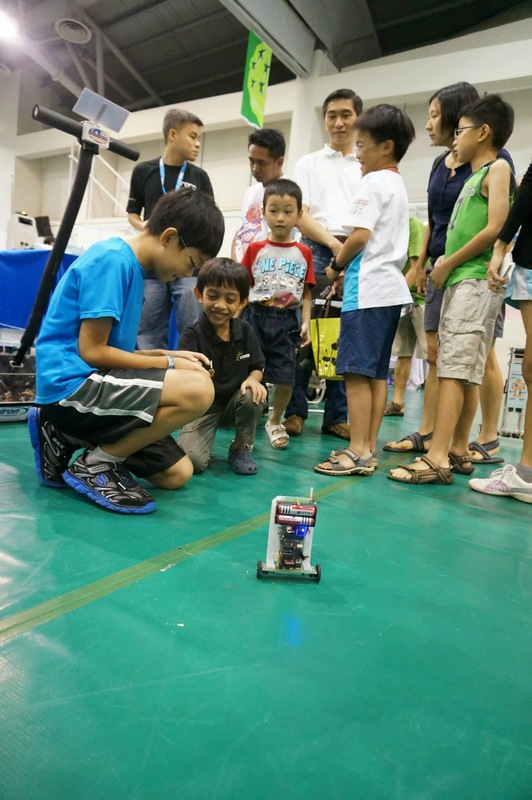 Teach Mode – Teaching the robot how to move. 2. Block diagram programming from PC software. 3. Advanced level of C language. 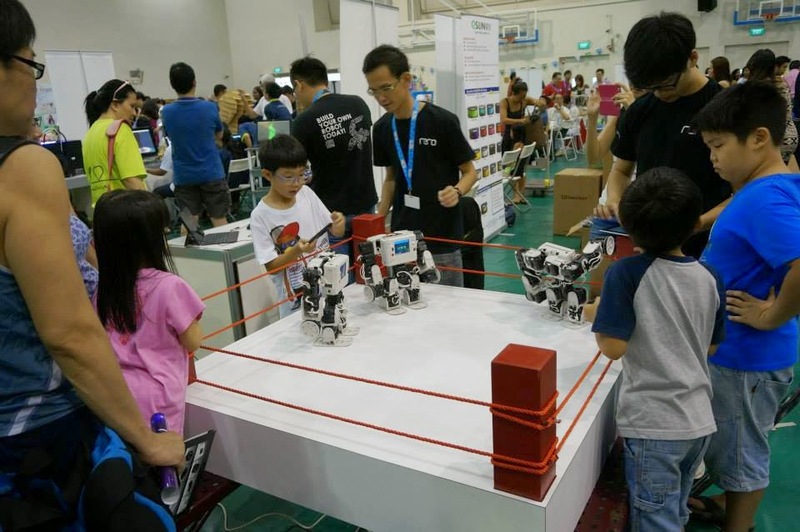 Kids are trying to build and modify their own robot to perform well in the battle. Besides RERO booth, Cytron company is actually having its own vendor booth too. 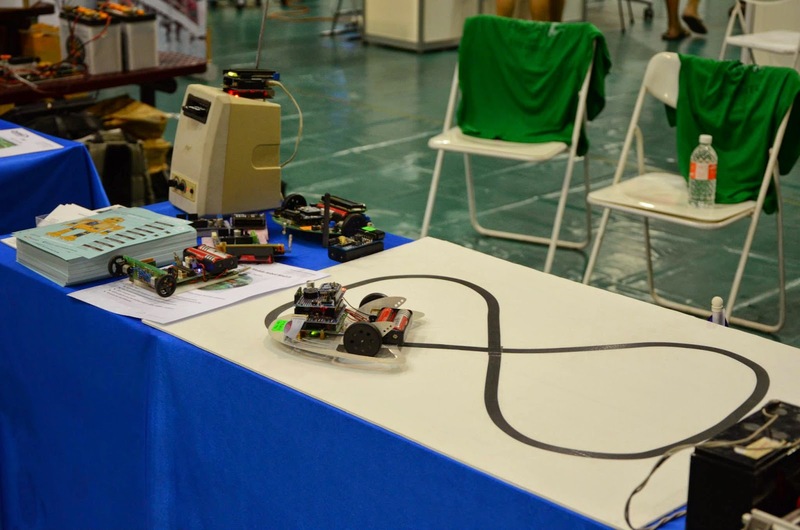 They displayed some interesting projects such as CTcab, quadcopter, line following robot self balancing robot and more ! 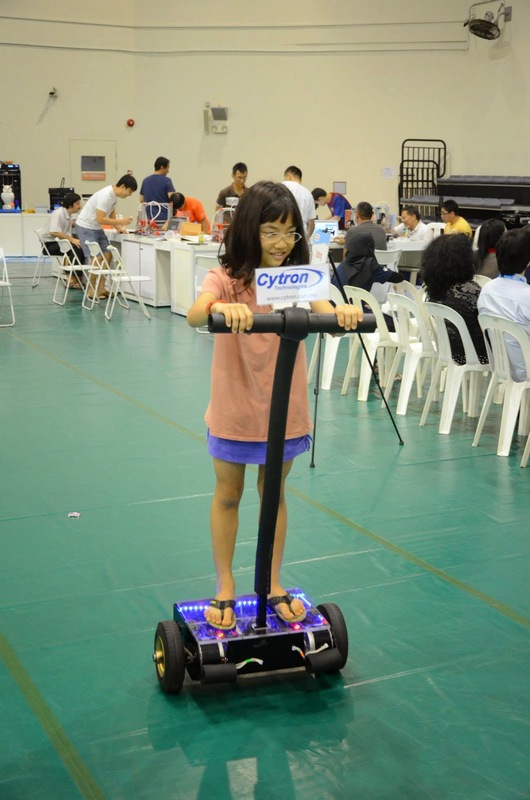 Kids are trying out with the self-balancing robot. 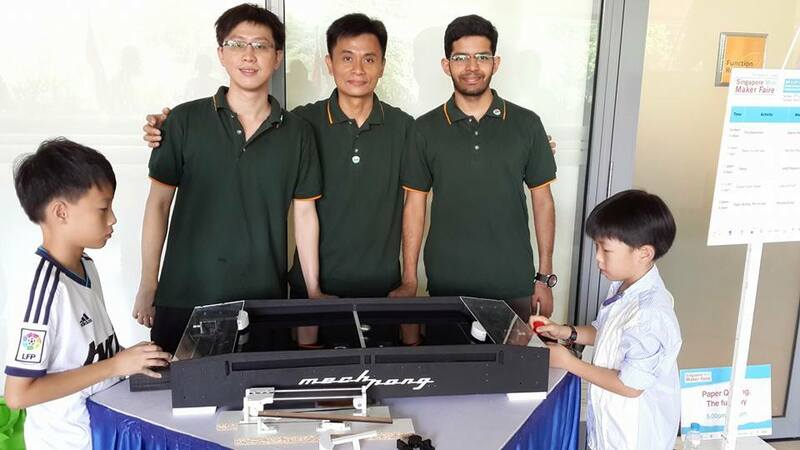 Besides RERO booth is actually a pretty nice Marina Bay LED model built by a maker – Pan Yew. I have always been fascinated with the vibrancy and attractiveness of Marina Bay’s cityscape. This motivated me to embark on creating a mini-LED light display of Marina Bay, so as to showcase and bring out its beauty to be admired by viewers. Many of Singapore’s iconic structures – the Merlion, Singapore Flyer and Esplanade, just to name a few – are located in Marina Bay. They are depicted in this LED light display, and operate in sync with your choice of music! 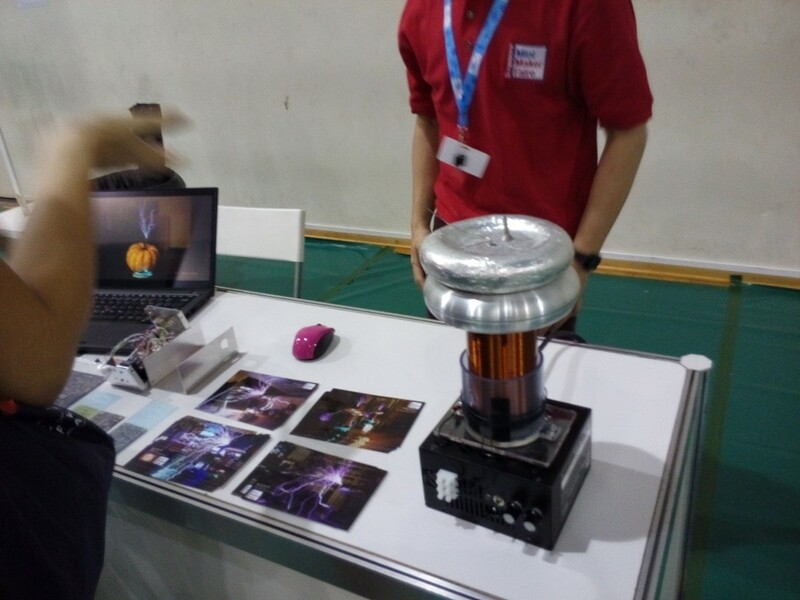 There is a booth showing a mini Tesla coil and built by a university student- Gao Guangyan. 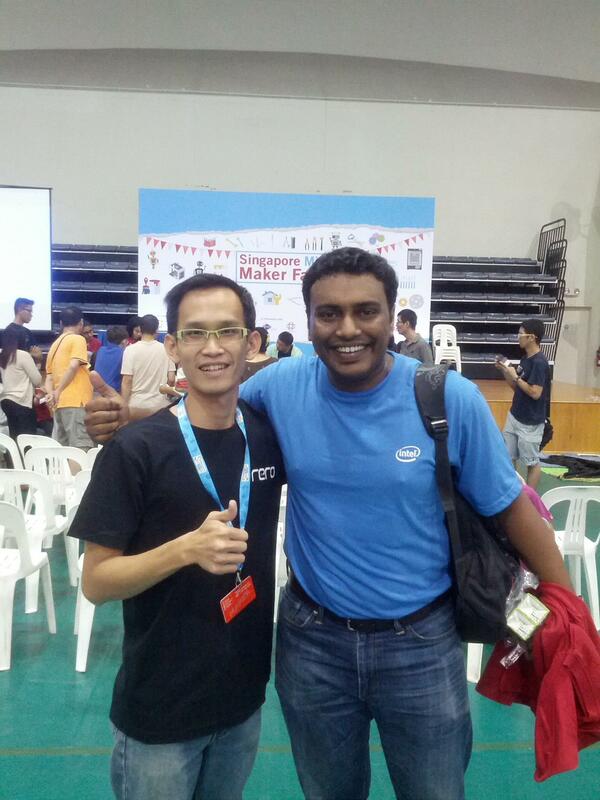 It was really glad that I met with lots of my maker friends there during the maker faire. Some of them I never met them before in real and finally I get to meet them in person and talk to them. It was so great ! Makers Faire connect people and share our ideas. 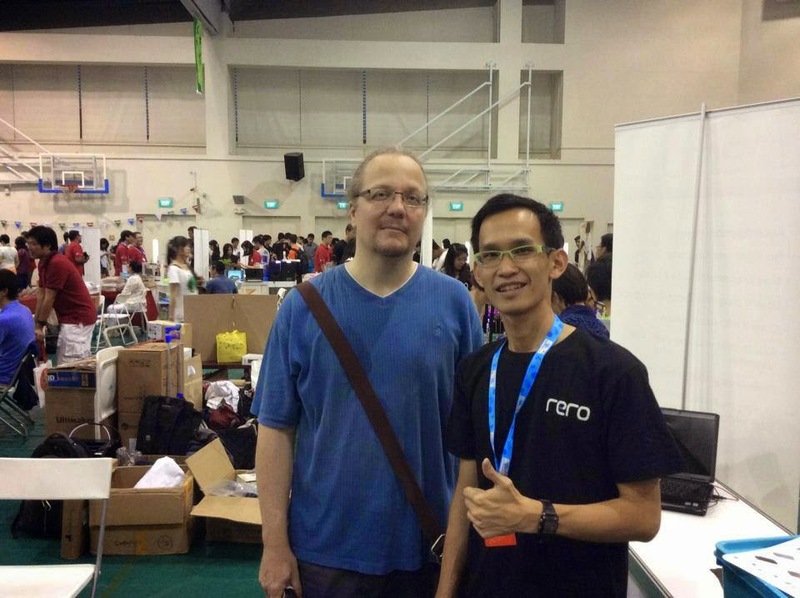 Mats Engstrom – The one that guiding me a lot in my PCB design projects. Yip Yau Kean – A LEGO NXT fans. 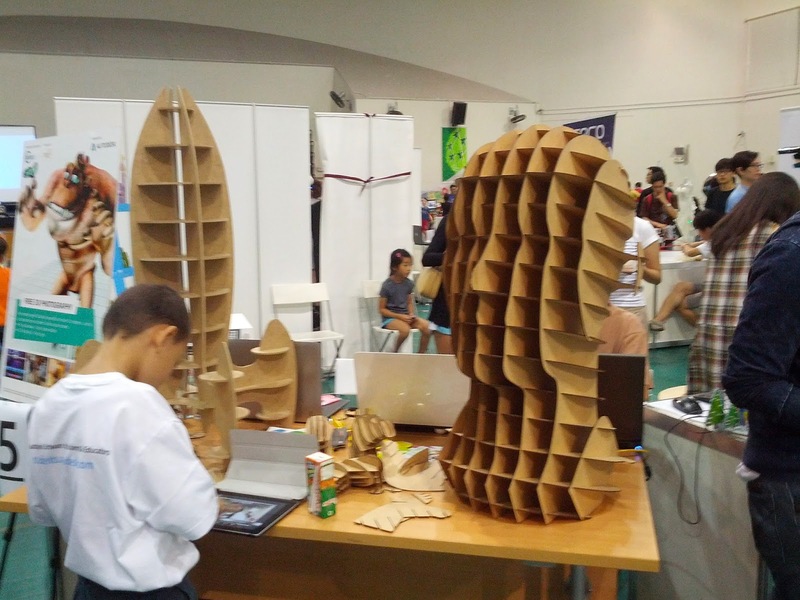 Well, this is my second time joining Maker Faire from all around the world and I think I get addicted to it ! It was so great that ideas are exchanging everywhere when connecting with different kinds of people from different background. Definitely this is not the end of my makers journey ! I will make sure it get continued and more fun coming along. 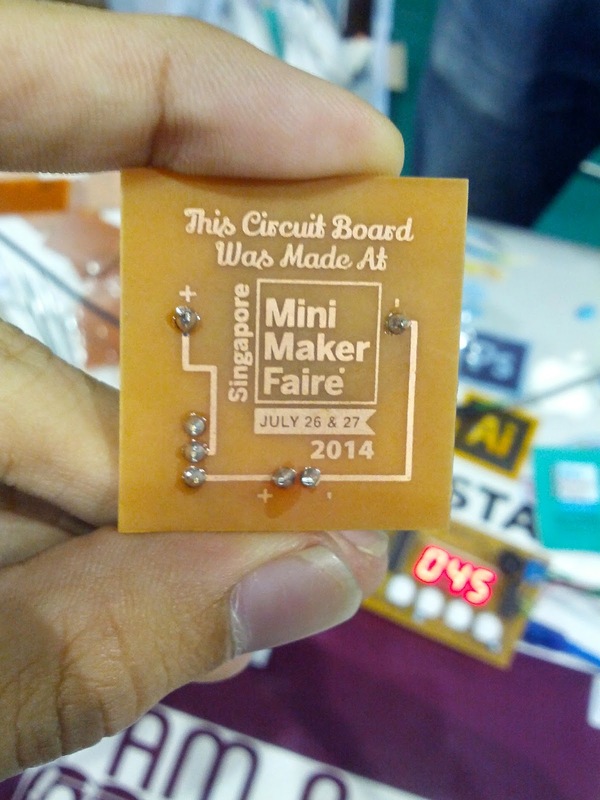 Singapore Mini Maker Faire 2014 !